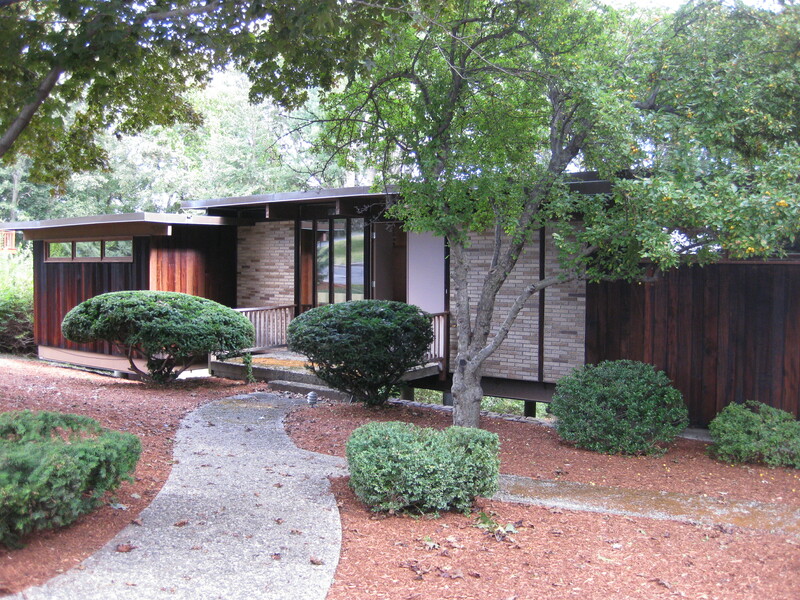 Do you or someone you know have an appreciation for mid-century modern houses? If you do there’s one you must see this weekend. If you like – or love – this style of architecture you just may be tempted to make this house your own – even if you’re not planning a move. 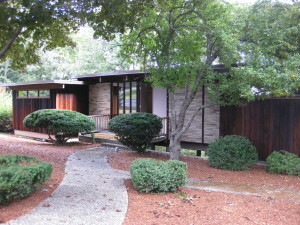 When mid-century modern houses pop up on the MLS hotsheet I try to get out and take a look. I’ve toured houses in Belmont, Lexington, Arlington, Lincoln, Concord and Cambridge. Yesterday I headed to Melrose after this mid-century stunner caught my eye online. Of all the houses from this period that I’ve toured it’s difficult to remember a house as fine. 110 Ellis Farm Lane in Melrose is spectacular. Architect designed and built in 1960 it’s had just own owner. Very little has been changed – you’ll love the fireplace, the fixtures, the hardware and cabinetry. The house is anything but ordinary. It appears to float in the air – with much of the house supported by steel beams atop concrete piers with no foundation below. The wall of glass in the living room looks out over woods and there’s a big deck and a screened porch. Listed by the Linda and Alison team from ReMax in Melrose, 110 Ellis Farm Lane is open on Saturday, Sept 28, 2013 from 11;30 to 1 pm and on Sunday, Sept 29, 2013 from noon to 1:30. This entry was posted on Friday, September 27th, 2013 at 9:24 pm	and is filed under Property Info. You can follow any responses to this entry through the RSS 2.0 feed. You can leave a response, or trackback from your own site. So fun! Thanks for sharing. It would be a fun open house to attend, just to see the place!